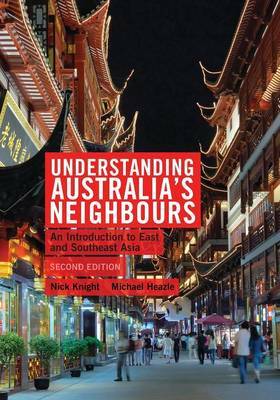 Understanding Australia's Neighbours is a comprehensive introduction to the study of Asia. Written thematically, it provides comparisons between Asian and Australian societies and encourages readers to think about Australia's neighbours across a wide range of social, economic and historical contexts. Topics covered include: * The nature of tradition and modernity * Change to the family and religion * The role of colonialism and nationalism in political change * Nation-building * Economic development * International politics * Globalisation * Democracy and human rights. Fully revised and updated, it covers the region's response to the global financial crisis, war on terror and climate change. It features a brand new chapter on the rise of China, its changing dynamic with Japan and the US and what this means for the broader region and Australia. Written in an accessible and informative way, this is a book for all Australians who seek a better understanding of Australia's neighbours in East and Southeast Asia.